Teeth whitening: what’s safe and effective? Teeth whitening is a huge industry in Australia right now. Thousands of Aussies are seeking the perfect ‘pearly-white’ smile through a variety of natural and chemical procedures. Most forms of teeth ‘whitening’ actually involves teeth bleaching, using hydrogen peroxide to remove stains and create a sparkling smile. This is a controversial product, though, as it can be toxic to humans. Hydrogen peroxide was once used to treat wounds until it was discovered that it damages cells. Even ingesting a small amount can cause vomiting and diarrhoea – a high dose can be fatal. Different countries have different regulations around the use of hydrogen peroxide in cosmetic procedures. In Australia only a dental practitioner may provide products that release more than 6 per cent hydrogen peroxide. That figure is double (12 per cent) in New Zealand. There are many teeth-whitening options on the market that don’t require the use of hydrogen peroxide, ranging from simple toothpastes and gels, to charcoal, lasers and lights that claim to have similar, if-not better results. Here are the most popular options in Australia, their effects and how safe they are to use in your mouth in the pursuit of the perfect smile. Home teeth-whitening kits don’t vary too wildly from in-chair dentist treatments. Both procedures involve a whitening tray and both require light to ‘activate’ the product and release the hydrogen peroxide that will whiten the teeth. There are some notable differences, though. For example, a dentist will take a mould of your teeth and use that for the tray, ensuring as little of the product touches your gums as possible. You can also buy teeth-whitening toothpastes that don’t use hydrogen peroxide. Most of these will use an abrasive to remove stains, but some use other ingredients. Some use detergents that foam up and clean the teeth, others use enzymes designed to stop saliva forming on your teeth. Polyvinylpyrrolidone (PVP) is a preventative agent while triclosan is an antibacterial agent that can help reduce plaque levels and fight tooth decay. Charcoal – does it actually work? One of the more interesting trends in recent years has been the use of activated charcoal to whiten teeth. That’s right, a mouth full of black goo will actually make your teeth whiter. It works by binding with the rough parts of the teeth, which are usually stains and plaque build up, then when it is removed it takes these deposits away with it. Activated charcoal is odourless and tasteless. It is commonly used to treat poisonings and is also used to treat flatulence, high cholesterol and cholestasis during pregnancy. There are issues, though. This is a very abrasive substance and it can strip away enamel as well as the bad stuff. You have to be very gentle when scrubbing to prevent damage to your teeth. Teeth whitening clinics – are they as good as the dentist? You have probably noticed teeth whitening clinics or salons pop up in your local area where you can be treated without the need for a dentist. As previously mentioned, the clinics are limited in how powerful they can make their hydrogen peroxide treatments. The upside is they are cheaper than a dentist. 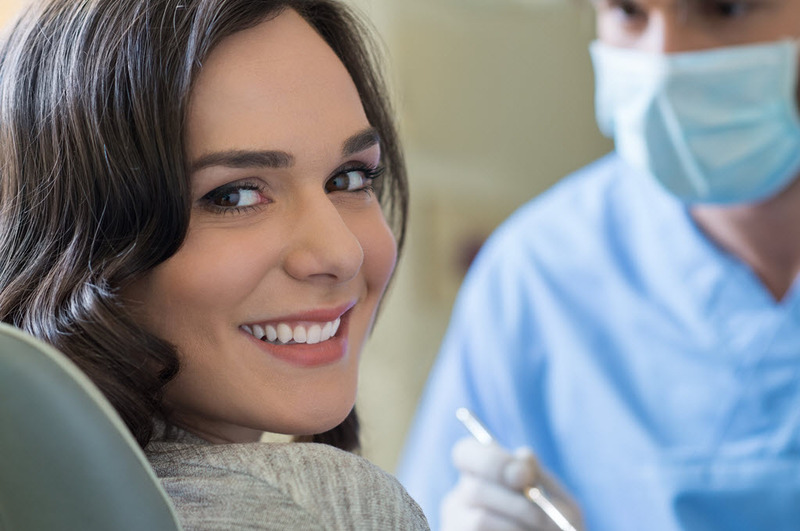 Procedures that can cost thousands in the dentist chair can be carried out for mere hundreds and the end result can be quite staggering – up to nine times lighter teeth than before the treatment. The issues with a clinic lie in infection control. While these businesses can take the utmost care, this is an unregulated industry and they have no obligation to meet any standards when it comes to hygiene. And without regulated training and accreditation, clients can be left with sore gums and teeth due to carelessness or ill-fitting bleaching trays. For true teeth whitening without the risks, you should always consult your dentist. The costs involved may be much higher, but you know that you will not be risking your health or the structure of your teeth. Other methods may promise – and deliver – whiter teeth, but they come with a ‘buyer beware’ tag and associated health risks.